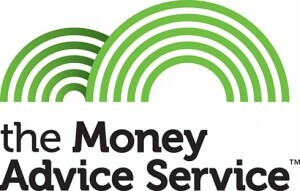 We’re working with the Money Advice Service to help people with their money problems and housing issues. Use the tools below to manage your money better, set a budget, and get back on track with your money. Click on the links on the right hand side to find lots more advice on budgeting, benefits, energy saving tips and what to do in a crisis. If you are worried about debt, Shelter Cymru can provide you with free, independent, confidential, specialist debt advice. See our pages on debt, loans and bankruptcy or click here for details of how to contact a specialist debt adviser. If you’re having trouble paying your rent, or you’re worried about paying your rent in the future, there are things you should do straight away. This article & tools are provided by the Money Advice Service. Shelter Cymru does not produce them or maintain/update them. Shelter Cymru cannot change them. they can be changed without the Shelter Cymru’s knowledge or agreement. The inclusion of a link to an external website from sheltercymru.org.uk should not be understood to be an endorsement of that website or the site’s owners (or their services). We do not link to external sites in return for cash, services or any other consideration in kind. We will only link to websites that are free to access, but users may sometimes be asked to register or subscribe before viewing content.